A couple weeks ago, we took a last minute trip to Disney. My 14 year old daughter said she really wanted to go to Disney over the Summer. 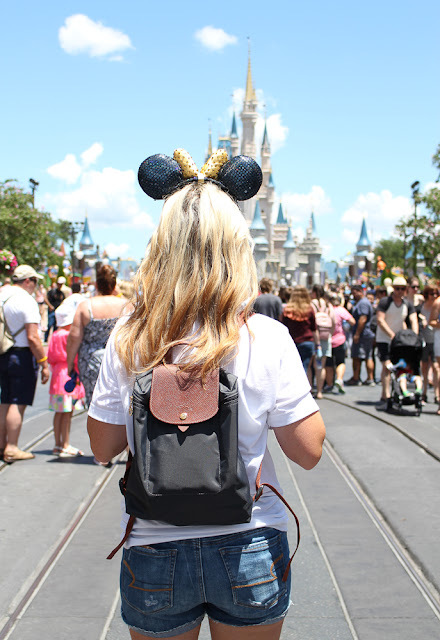 I was surprised first off, because I thought she had sort of out grown the want to go to Disney (not that there's an age limit) but it just hasn't been her thing. So when a teenager says they want to do something with the family, you jump at the chance!! Luckily for us, my in-laws live just outside of Orlando, so it makes it convenient to go. We are able to spend time at Disney, but stay at their house. They came with us to the park and we had a wonderful time!! Even with last minute planning, Disney trips don't have to be stressful. 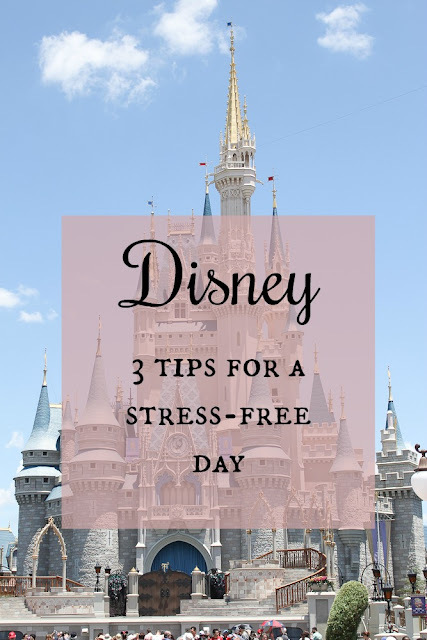 I've listed my top 3 tips for surviving Disney and enjoying one of the happiest places on earth!! 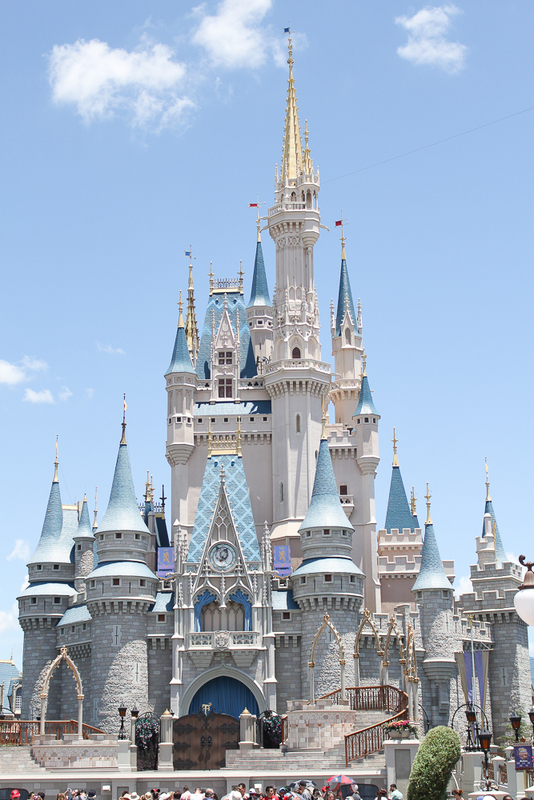 Sure some Disney fans start planning their trip months, even a year, in advance. But you don't have to. For this trip, there was only 3 weeks from the time we decided to go on our trip. If there are special restaurants or events you're wanting to attend, then some timely planning is important. Like the Princess Breakfast. Tickets sell out months in advance. But if those aren't important to you, no worries. When we bought our tickets, we also made lunch reservations. We knew we were going to be at the park during peak season and knew we wanted to sit down and have a nice lunch (inside), so we made sure to make reservations ahead of time. This isn't necessary if you're just planning on grabbing a sandwich or chicken fingers on the fly between rides. 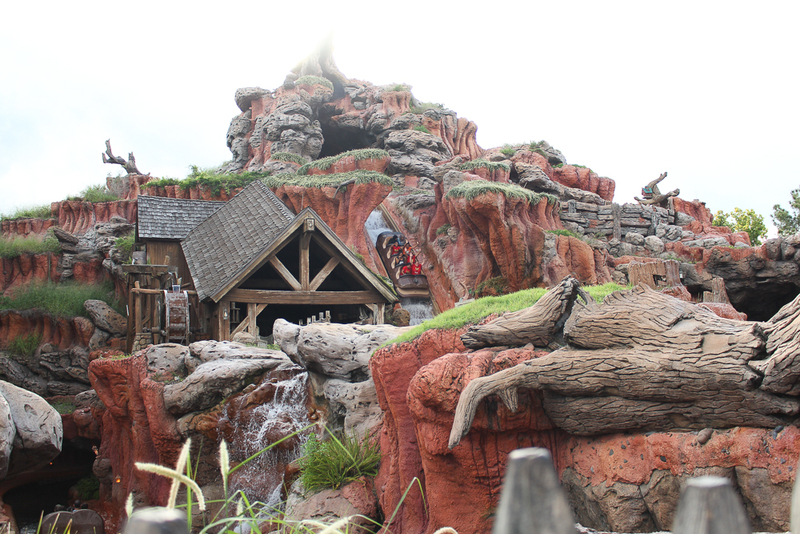 We also got online and set up 3 fast passes (the limit) for the days we'd be in the park. 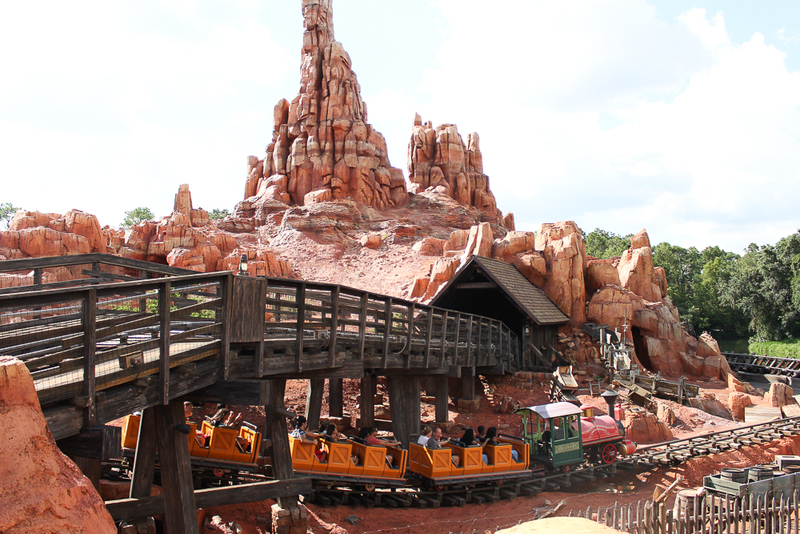 We made sure to factor in when the park opens, when we were getting there, lunch, etc. and picked times accordingly. This also helped plan our entire day. Pick the 3 rides you really want to go on or rides that you know will have a super long wait, like Pirates of the Caribbean and Buzz Lightyear. We picked mid-July for our trip (the only time we had in our Summer schedule) so we knew it was going to be super hot! And we were right. So light clothing and light colors were our friends. 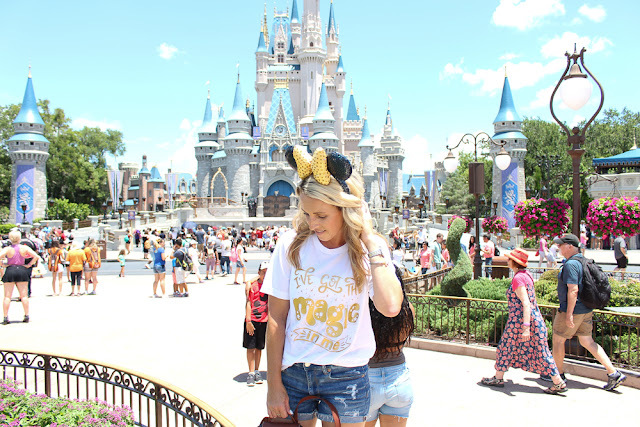 This I've Got the Magic tee was perfect for a hot day at the park. It's a super soft, tri-blend fabric that was cool and breathable for the heat. 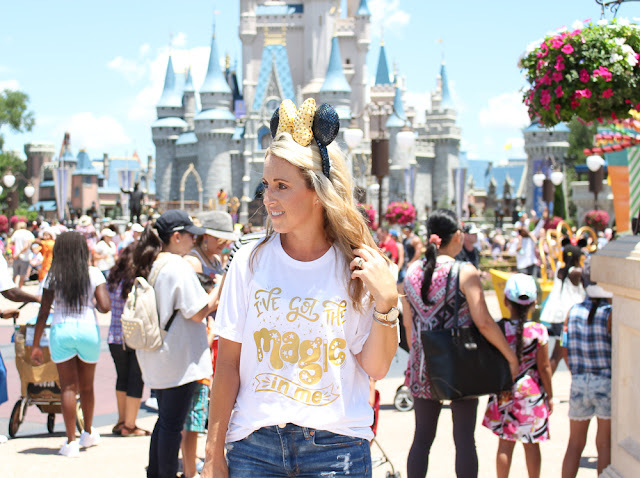 I also think that when going to Disney, you should have some fun and dress for the location, hence my magic tee and Minnie ears!! The tee is from a cute online boutique, Queen of Hearts. She offers adorable Disney tees, but also mom tees, coffee tees and more! 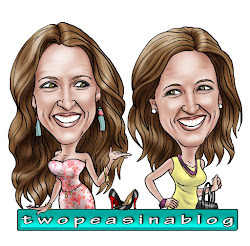 Be sure to check out her site for the new arrivals for Fall (football and pumpkin spice!). While at any of the Disney parks, prepare to do a ton of walking! Like miles. Comfy sneakers are a must. I wore my adidas NMDs and they were perfect. I saw people in flip flops and thought how in the world could they walk all day in those! I am a tote-carrying girl!! But I knew I didn't want to 'tote' (pun intended) a big bag around all day, so I chose to carry a backpack. They are super popular right now and for good reason. It leaves your hands free and save your shoulders from a heavy bag. This backpack is amazing. I love the brand, and have a couple of their bags already. I love the leather straps and the nylon material is waterproof and durable and it can hold alot. Perfect for Disney. This was a lifesaver for us inside the park. We all have our phones on us at all times, so why not put it to good use?! 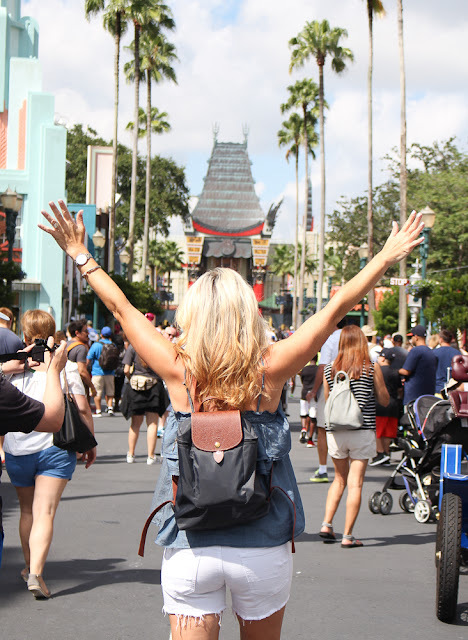 The My Disney Experience App can do it all. It has maps of each park. It shows wait times for each ride and attraction. You can browse the restaurants and their menus. You can manage your reservations and tickets. And you can also view your fast passes and sign up for more!! Make sure you download the app before getting to the park and play around in it so you're familiar with how to use it. Make sure to check out Queen of Hearts Boutique for more adorable tees.